10 Places To Explore The Great Outdoors in S.E.A. 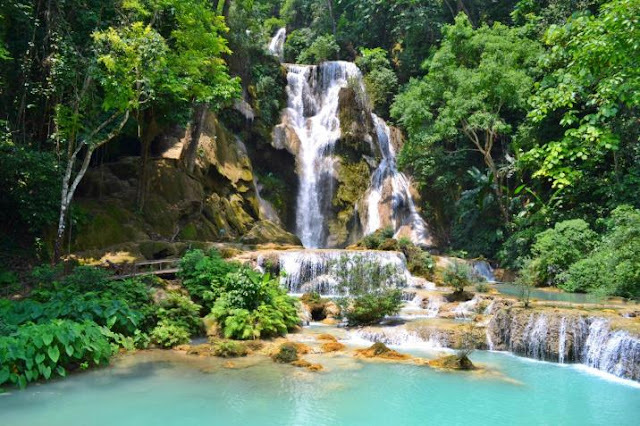 I don't know about you but most days when I'm stuck in the office, I always find myself wishing that I am away from the hustle and bustle of the city, and instead, deep within the jungle or soaking in a secluded waterfall. With that said, here are ten places for you to explore the great outdoors in our cute little region of the continent, listed in no particular order. Be prepared to feast your eyes on some wilderness and jaw dropping sights. My friends and family would always ask, "you are working in the outdoors, why still go outdoors during your holidays?" but I usually don't even try to explain why because I don't think they'd see it my way anyway. Well, I used to go crazy for beach travel destinations but ever since I started donning the hijab (making suntanning redundant for me), somehow getting adrenaline rushes from doing fun activities make me happier than lazing on the beach all day. I have visited Taman Negara trice in my life and it has never failed to impress every, single, time. 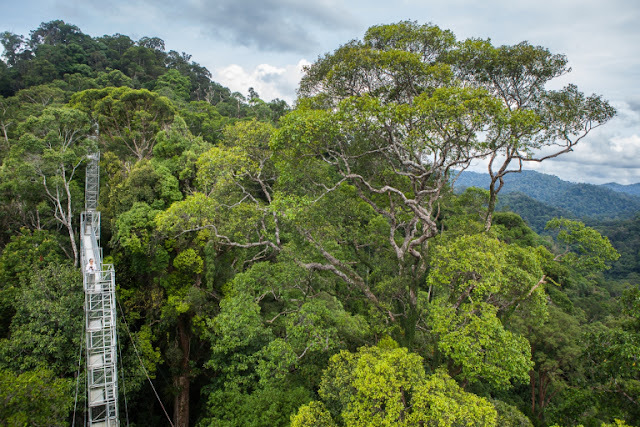 Home of a tropical rainforest that's said to be 130 million years old, Taman Negara also has the likes of long canopy walks, water rafting, river cruises and jungle treks up to Mount Tahan. This was also where I first tried waterfall abseiling- and fell in love with it. Flores actually means "flowers" in Portugese and this underrated island is located right off the coast of Bali. It's untouched grounds has loads to offer and you'd spend the whole time here soaking in the beautiful scenery. 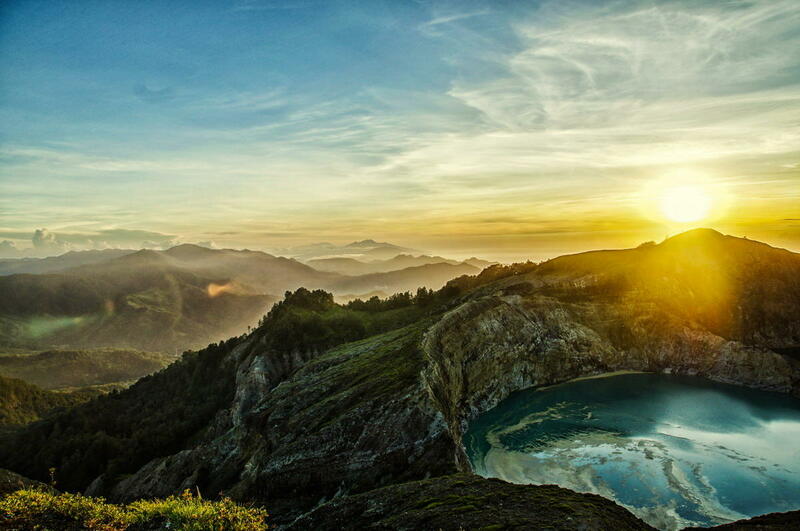 Take for example, Mount Kelimutu, a dormant volcano in the central part of the island - it has a crater full of vibrantly coloured water instead of the regular green or blue. How fascinating! I first found out about this province during either Social Studies or Geography (my favorite subject!) where we learnt about exotic ways foreigners respect their dead and Sagada was one of our case studies - they are famous for its "hanging coffins", which is a traditional way of burying people that is still utilized. Sagada is also known for Banaue Rice Terrace as well as their many limestone caves! Another city that's pretty well known for their rice terraces? 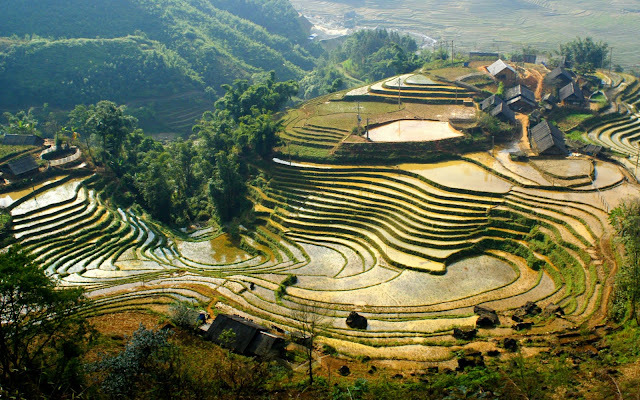 Sapa, where the mountains of Vietnam are. Other than perfectly contoured grounds, Sapa (Hoang Lien National Park) is also a great place for outdoor enthusiasts because of the many hiking and trekking opportunities. If you're ever there, don't forget to pay Thác Bạc (otherwise known as the Silver Waterfall) a visit. Many do not know this, but the underrated city of Brunei actually has its own fair share of wildlife and nature! Ulu Temburong, to be exact, is where you can take a trip on the wild side while in Brunei. There are rainforest lodges or even "orang iban" guesthouses where you can stay at, and speedboats that can take you on river or mangrove cruises. Right off the east coast of Bali, Lombok is often overshadowed by the high life that its neighbor has to offer- so often that there are some parts of the island that are still untouched. Home of Mount Rinjani (the second highest volcano in Indonesia) and being just a boat ride away from Flores, there is no doubt that this underrated island would be the destination of choice for most adventure seekers. As compared to the other locations listed here, there isn't really much to do on the tiny island of Nong Khiaw, but trekking up the waterfall, lunch with a mountain view, caving, peaceful boat rides and the many picturesque views can be pretty enjoyable and also more than enough to satisfy your wilderness cravings while you're here. 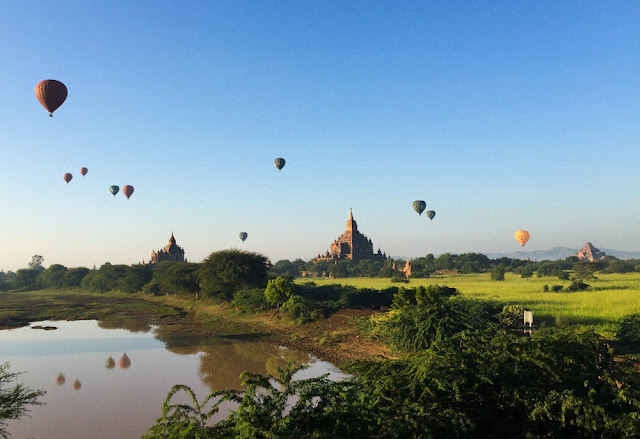 Aside from all the palatable cuisines and immense culture, Bagan (formerly Burma) is also filled with daring activities for adrenaline seekers. A unique experience would be to explore the Maykha River by white water rafting, as the water body runs through Southeast Asia's lone snow-capped mountain range, or to witness the ancient city through a bird's eye view by taking a ride on the hot air balloon. The name itself are Cambodian words, which are combined to mean "place of gems and mountains." 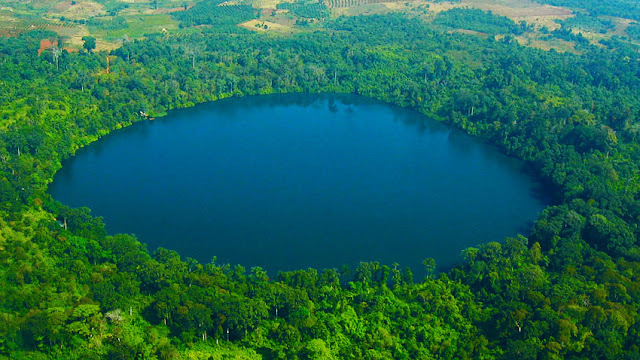 There is actually quite a number of things that you can do here- trek within the national park, shower under waterfalls or even swim in clear volcanic lakes! Saving the best for last, Borneo is definitely the playground for all outdoor adventure enthusiasts. From sea-walking to diving to waterfall abseiling to white water rafting to trekking in the rainforest, you name it - Borneo has it. 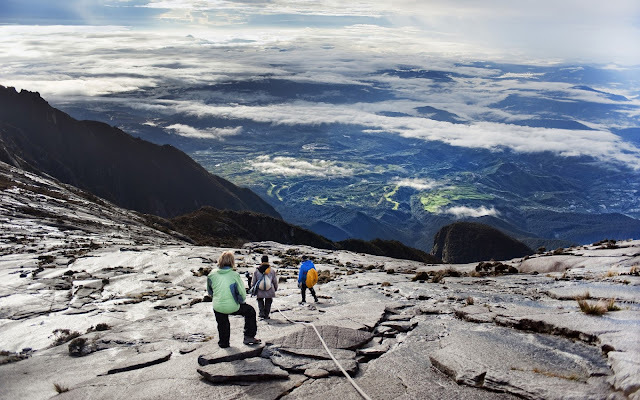 Let's not forget the magnificent Mount Kinabalu. I don't think I have to further explain why Borneo is the place to be when it comes to exploring the great outdoors. I had fun feasting my eyes on all the wilderness that these ten places have to offer, and I hope that the post enlightened h so much culture, natural treasures and rich heritage at every corner of it.